There’s a Wonderful Dentist Near Cavalier! If you live in Cavelier, you are no stranger to driving a little ways for great services — it just comes with the North Dakota territory. But when it comes to your and your family’s dental care, you don’t have to look far from home! The trusted dentist for Cavalier, Park River, AND Grafton is Dr. Joe Kern at Kern Family Dentistry. Keep reading to learn more about his services and how his team helps patients of all ages smile with high-quality services in a state-of-the-art office. Life is easier when you can have all of your dental needs met in a single office. From general checkups and cleanings to more complex treatments, like CEREC 1-visit crowns and TMJ therapy, Dr. Kern really does it all. He employs the latest technology while maintaining his calm, personalized approach — and the combination is one patients of all ages appreciate. Of course, having a dentist you can easily afford to visit is also worth a lot. We are pleased to be in-network with a number of dental insurance providers, including Delta Dental, BlueCross BlueShield, MetLife, AFLAC, CIGNA, and United Concordia. We also process and file all insurance claims to help ensure you really get the most out of your investment in oral health. Preventive dentistry, like checkups and cleanings, X-rays, nightguards for bruxism, and more. The goal of preventive dentistry is, well, prevention — because it’s always easier to stop a problem from occurring in the first place than it is to fix it after the fact. Restorative dentistry, which repairs your smile after tooth loss, decay, injury, or another issue. Treatments include crown and bridge, dentures and partials, and dental implants. 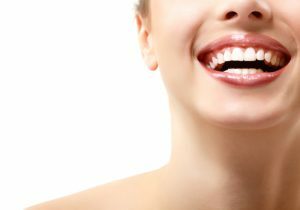 Cosmetic dentistry for healthy smiles that want to sparkle — like porcelain veneers, teeth whitening, and more. Our specialty treatments include TMJ therapy for a clicking, popping jaw, sleep apnea treatment, and emergency dental care. A New Dentist for the New Year! Like what you’ve heard so far? Dr. Kern is now accepting new patients, and there has never been a better time to decide on a new dentist than at the New Year! We begin all treatment plans with a thorough checkup and cleaning, when we also discuss your smile goals and put together our strategy for helping you achieve and maintain a healthy smile. We can’t wait to become your partner in oral health for years to come! Dr. Kern has been practicing dentistry for 22 years and counting. He is well-known for his superior comprehensive family dental care. If you are ready to visit an excellent dentist serving the whole family, please do not hesitate to contact your dentist in Grafton at 701-352-2013. Comments Off on There’s a Wonderful Dentist Near Cavalier!